The only power you have on this planet is the power of your decisions. 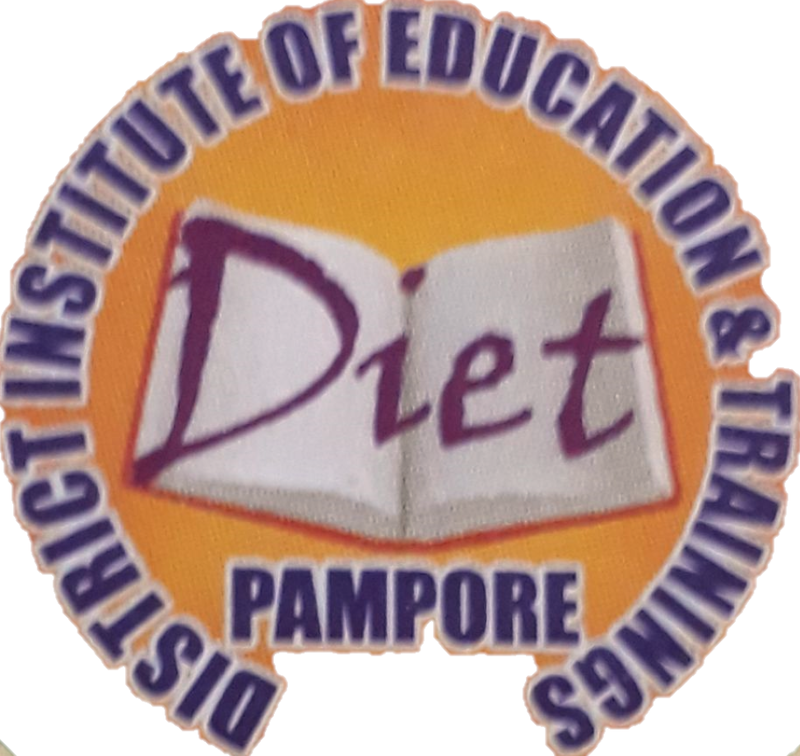 DIET Pulwama has an academic faculty of highly qualified teachers who simultaneously work as zonal in charge specially to supervise the ongoing different schemes of basic education and guide the teachers to implement the schemes in an effective way and improve efficiency of Teachers through different training programmes.. This sector-wide development programme/scheme would also help harmonise the implementation mechanisms and transaction costs at all levels, particularly in using state, district and sub-district level systems and resources, besides envisaging one comprehensive strategic plan for development of school education at the district level. The shift in the focus is from project objectives to improving systems level performance and schooling outcomes which will be the emphasis of the combined Scheme along-with incentivizing States towards improving quality of education. States that “By 2030, ensure that all boys and girls complete free, equitable and quality primary and secondary education leading to relevant and effective learning outcomes. -Support States in implementation of Right of Children to Free and Compulsory Education (RTE) Act, 2009; and Strengthening and up-gradation of SCERTs/State Institutes of Education and DIET as a nodal agencies for teacher training. The Scheme will be implemented as a Centrally Sponsored Scheme by the Department through a single State Implementation Society (SIS) at the State/UT level. At the National level, there would be a Governing Council headed by Minister of Human Resource Development and a Project Approval Board (PAB) headed by Secretary, Department of School Education and Literacy. The Governing Council will be empowered to modify financial and programmatic norms and approve the detailed guidelines for implementation within the overall Framework of the scheme. Such modifications will include innovations and interventions to improve the quality of school education. The Department will be assisted by a Technical Support Group (TSG) at Educational Consultants of India Limited (EdCIL) to provide technical support in functional areas pertaining to access, equity and quality education by merging the TSGs of the Schemes of SSA, RMSA and TE. States would be expected to bring a single Plan for the entire school education sector. 60:40 for all other States and Union Territories with Legislature. It is 100% centrally sponsored for Union Territories without Legislature. This is in accordance with the recommendations of the Sub-Group of Chief Ministers on Rationalization of Centrally Sponsored Schemes received in October, 2015. The major interventions, across all levels of school education, proposed under the scheme are: (i) Universal Access including Infrastructure Development and Retention; (ii) Gender and Equity; (iii) Inclusive Education; (iv) Quality; (v) Financial support for Teacher Salary; (vi) Digital initiatives; (vii) RTE Entitlements including uniforms, textbooks etc. ;(viii) Pre-school Education; (ix) Vocational Education; (x) Sports and Physical Education; (xi) Strengthening of Teacher Education and Training; (xii) Monitoring; (xiii) Programme Management; and (xiii) National Component. It is proposed that preference in the interventions would be given to Educationally Backward Blocks (EBBs), LWEs affected districts, Special Focus Districts (SFDs), Border areas and the 115 Aspirational districts. The main emphasis of the SSA is on improving quality of school education by focussing on the two T’s – Teacher and Technology. The strategy for all interventions under the Scheme would be to enhance the Learning Outcomes at all levels of schooling. The scheme proposes to give flexibility to the States and UTs to plan and prioritize their interventions within the scheme norms and the overall resource envelope available to them. Funds are proposed to be allocated based on an objective criteria based on enrolment of students, committed liabilities, learning outcomes and various performance indicators. The Scheme will help improve the transition rates across the various levels of school education and aid in promoting universal access to children to complete school education. The integration of Teacher Education would facilitate effective convergence and linkages between different support structures in school education through interventions such as a unified training calendar, innovations in pedagogy, mentoring and monitoring, etc. This single Scheme will enable the SCERT to become the nodal agency for conduct and monitoring of all in-service training programmes to make it need-focused and dynamic. It would also enable reaping the benefits of technology and widening the access of good quality education across all States and UTs and across all sections of the Society.